To getting it together for the wedding. Suits, shirts and ties have been chosen and purchased for my handsome groom and his best man. Haven’t decided for sure if we want to go with this pocket square for Efren or a solid ivory one. We bought both. This one actually looks like a closer match to the shirt in person than it looks in the photo. The ivory one is a perfect match, but so plain. I like the character the stripes give. Just a little more fun. I think. Randi, love it! 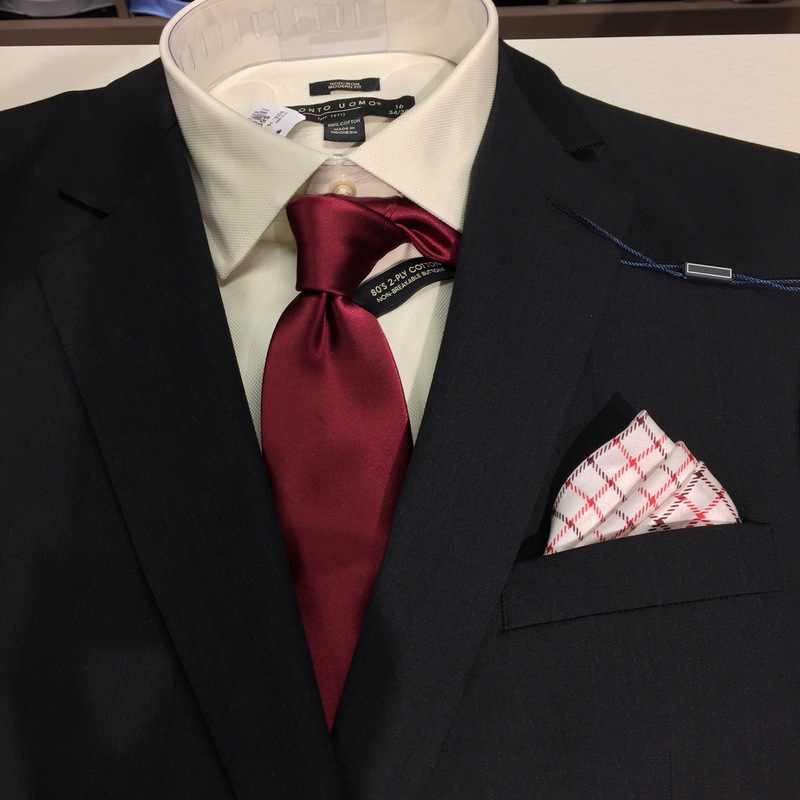 Maybe photograph both pocket squares on the shirt in same photo, and see which one you like better in the photos, ’cause that’s how you will see it in the years to come – when you look at the photos reminiscing. Which will you want to see? Which do you like better in the photos? « Do you like it hot?